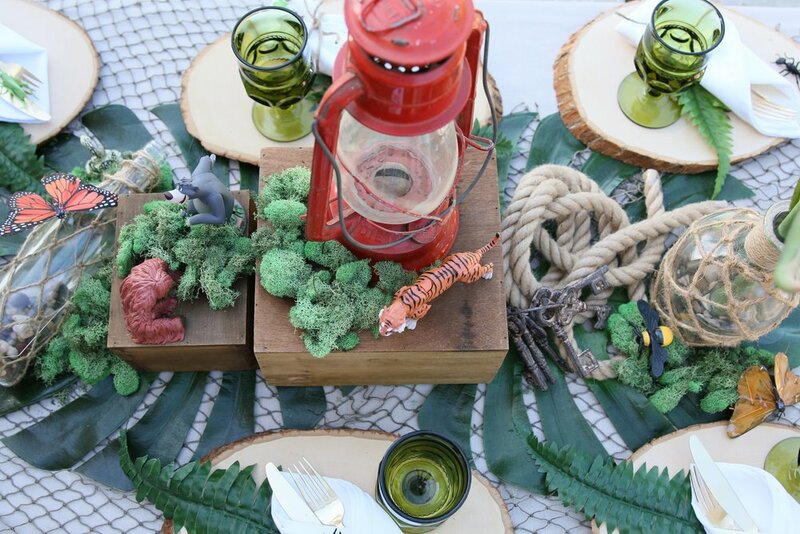 Take a walk on the wild side with this jungle adventure party! Whether your party is celebrating a man cub, an adventure seeker, or a bug lover, this is a fun collection that will take them into the deepest of jungles. 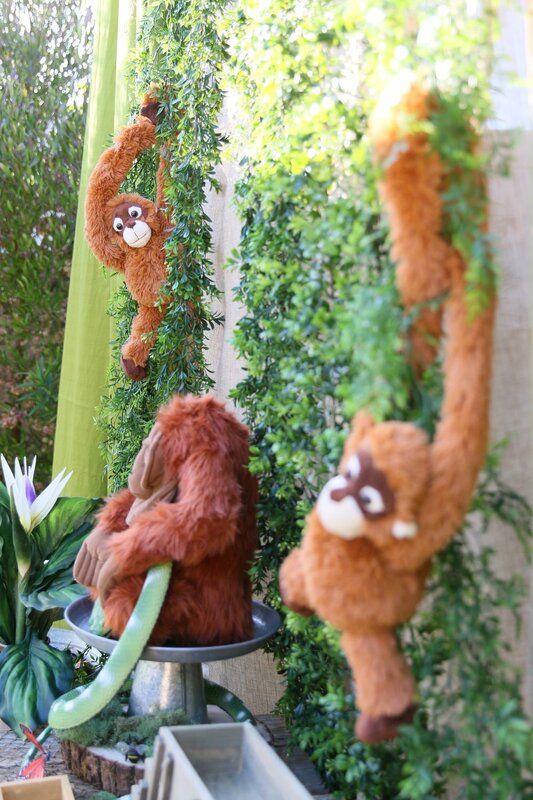 Heaps of luscious green plants, earth worn wood pallets, lanterns, jungle insects, and castaway fishing nets set the stage for all your animal characters to come to life! All your kingdom will be knocked off their tails to see what a magical safari you've organized. It's all in the details and this package has them all... we are not monkeying around. 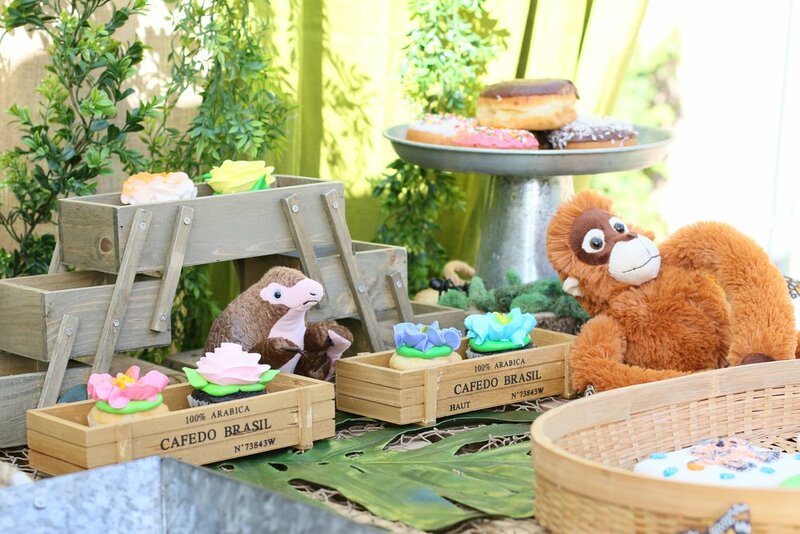 Whether displayed on these distressed crates or on a table, the monkeys, bears, elephants, snakes, and bugs will be guarding any food on the assorted serving platters! Galvanized metal cake platters and serving trays to display your jungle snacks. 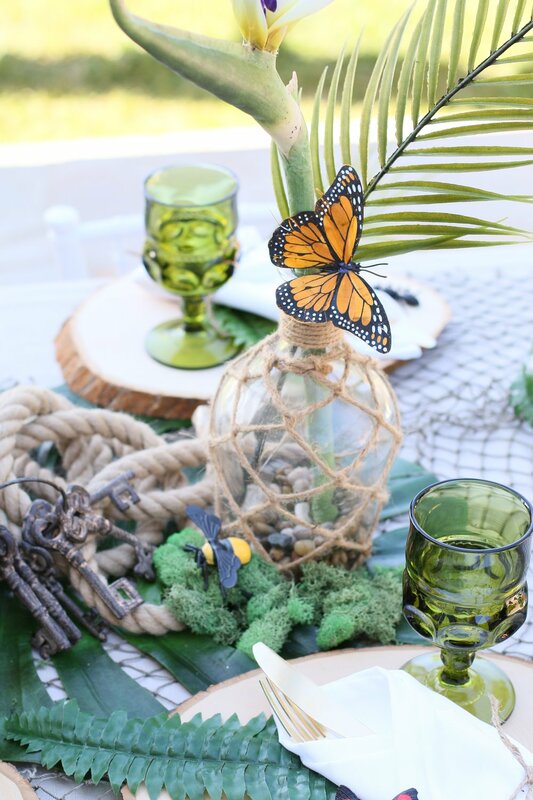 Palm leaves, wooden boxes, rustic lanterns, burlap accents, jungle animals & insects, & faux greenery. Neutral table linens with fish net overlays for the dining tables. 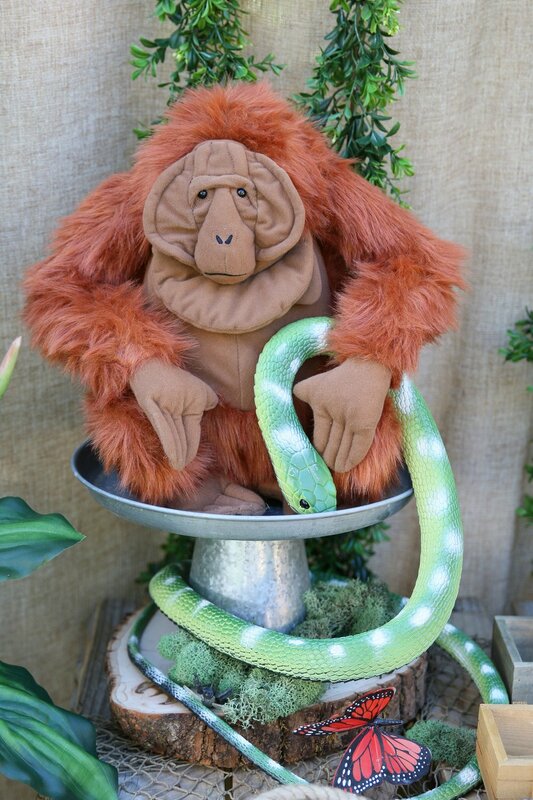 If you want to feel extra Mowgli, we can include the Jungle Book characters for display! Butterflies and bugs, because what would a jungle be without them!? 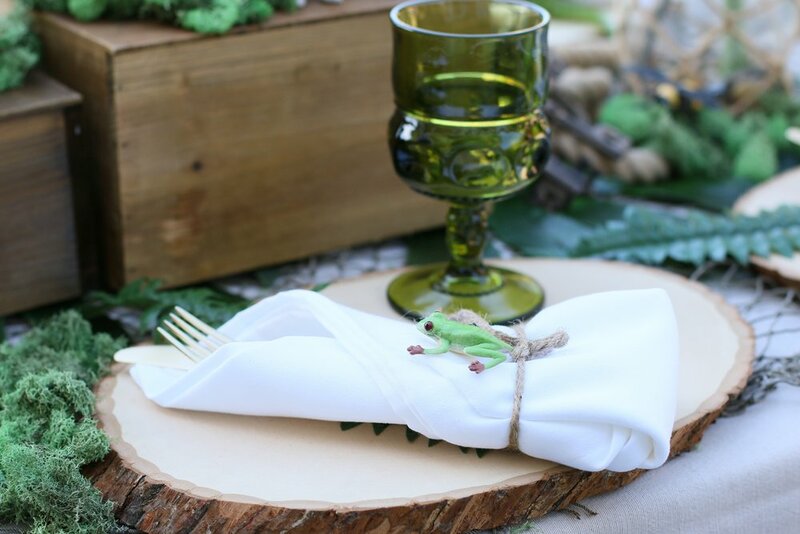 Jungly place setting with wood slices, napkins, cutlery, colorful glassware, and a critter of your choice! Antique trunks, books, and a distressed lantern for a true adventure! This Baloo bear will also be joining the party! 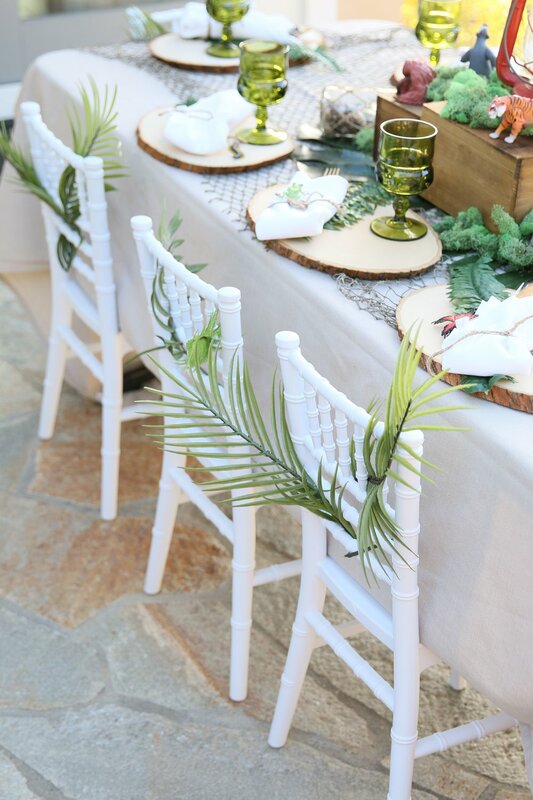 Distressed wooden pallets used for tables with faux tropical greenery.